Celebrating Connected Educator Month, for those of us involved in training-teaching-learning, is a bit like celebrating the existence of air: connections pump life into much of what we do, yet we often take them for granted rather than indulging in joyfully inclusive acknowledgement of what they produce. It’s well worth expressing gratitude, therefore, to our colleagues in the U.S. Department of Education for sponsoring the event that is so wonderfully described in an online video, evident through the online listings of events, and supported by the numerous online resources even though the sponsors themselves are at least temporarily disconnected as a result of the current shutdown of Federal Government operations. It’s also worth noting that the list of participating organizations is quite extensive. What makes Connected Educator Month personal, furthermore, is the opportunity it provides to reflect on the connections that support and inspire us and those we serve, so here’s a challenge to colleagues near and far: post your own thoughts, in response to this article and Connected Educators Month in general, here on this blog as well as on your own blogs, Twitter, Facebook, Google+, and anywhere else that allows us to strengthen the connections that so effectively support us and make us so much better than we would be without them. Looking at connections within my own learning environment makes me realize how fortunate and wealthy I am in terms of what connections and connectivity provide at every possible level. There is the joy of being part of a vibrant and vital community of learning that I experience each time I participate on one of the online weekly tweet chats organized by colleagues via #lrnchat, as I noted in an article I wrote and posted just days before learning about Connected Educator Month. There is the breadth and scope of resources I find every time I engage with colleagues in the American Society of Training & Development (ASTD) at the local, regional, and national levels, as I’ve so frequently noted on this blog. There are the numerous and invaluable conversations and exchanges with ALA Learning Round Table colleagues over dinners while we have attended conferences together. And there is the ongoing unparalleled learning experience that comes my way each year through participation in the New Media Consortium Horizon Project, which brings together a relatively small group of colleagues from a number of different countries to collaborate within a stimulating online environment and through face to face annual summits to explore developments and trends in technology, education, and creativity. Observations about connectivity become even more circular and seamlessly interwoven when I think about how Connected Educator Month provides an opportunity to celebrate the connections fostered by connectivist MOOCs (massive open online courses)—including connections to others outside of those MOOCs. It’s far from hyperbole to say that participation in #etmooc—the Educational Technology & Media massive open online course developed by Alec Couros and colleagues earlier this year— substantially increased my connectedness to wonderful trainer-teacher-learners around the world. And the #etmooc community of learning that has grown in the months since the formal coursework ended has led to even more connections through an invitation to join the five-week Exploring Personal Learning Networks (#xplrpln) MOOC that Jeff Merrell and Kimberly Scott are facilitating under the auspices of the Northwestern University Master’s in Learning & Organizational Change Program. Not only does #xplrpln provide another venue in which #etmooc participants can work together, but it is, through its exploration of personal learning networks, helping all of us as participants enrich our own. The multi-directional connectedness doesn’t even stop there; the more I look at each of these groups and opportunities, the more I realize how interconnected the various groups are. Participating in the #lrnchat session last night reminded me that #lrnchat includes members of the ASTD, #etmooc, and #xplrpln communities—and the frequent mention of the Personal Learning Networks course during the chat is leading more members of #lrnchat to join us in exploring what #xplrpln offers and is developing. Looking at the growing list of #xplrpln participants has introduced me to #etmooc participants I hadn’t met while #etmooc coursework was in progress. Looking at the list of colleagues in the Horizon Project in previous years brought the unexpectedly wonderful realization that it included a great colleague from the American Library Association. And diving into the current Horizon Project explorations of developments in personal learning networks obviously connects what I’m doing there and in the MOOC so that the learning opportunities flow both ways between those two communities. There’s a distinct possibility that connectivism could become another of those buzz words that linger on the edge of our consciousness without ever developing into something tangible—at a human level—if we give it the proverbial fifteen minutes of fame/attention and then move on. Or it could become another element of an ever-increasing set of tools and resources that allow us to transcend geographic, occupational, and time-zone boundaries. In a world where we often bemoan the loss of community, we can just as easily celebrate its expansion. And that’s why Connected Educator Month seems, to me, to be a great opportunity to celebrate. Reflect. And grow. N.B. : This is the first in a series of posts about Connected Educator Month and the first in a series of reflections inspired by #xplrpln (the Exploring Personal Learning Networks massive open online course). For those of us whose attendance at conferences is an essential part of our teaching-training-learning, there is an unofficial game that keeps us coming back for more: the game of wondering how quickly we will first run into someone we know. I have yet to top the time I boarded a shuttle for the ride from my home to San Francisco’s airport and, five minutes later, discovered that the next stop was at a colleague’s home. Which was almost as good as the time that another colleague was on the same flight out of San Francisco even though we were leaving a couple of days before that conference was scheduled to begin. And it began this time when another cherished colleague and I, on our way to the American Library Association’s 2011 Annual Conference here in New Orleans, spotted each other on our way to a connecting flight that had us both in the Dallas-Fort Worth airport and had nearly an hour to catch up on what we had been doing since our last encounter. The extended game of Catching Up With Colleagues continued yesterday—the day before preconference activities were even underway. After conducting an orientation session for conference volunteers, I saw Peggy Barber, one of my favorite marketing colleagues, not far from the main conference registration desk. Because neither of us had any appointments scheduled—a rare occurrence at events where so much is offered in a relatively brief period of time—she and I were able to have a two-hour lunch that carried us far beyond our usual and all-too-infrequent hello-goodbye exchanges. There’s a level of magic that accompanies each of these unexpected encounters and reminds us why we go to all the expense and inconvenience of traveling all the way across the country. It’s what Frans Johansson describes so lovingly in The Medici Effect: when those of us who do not frequently see each other face to face have those concentrated bursts of face-to-face time, the exchange of information and ideas is as intense and rewarding as any well-run day-long workshop—and often far more productive. From her side of the table, there were thoughtful and thought-provoking observations about how many of us confuse advocacy with marketing and end up ineffectively promoting issues rather than taking to the time to listen long enough to determine what our clients and customers need from us. From my side, there were plenty of stories about what all of us are doing to promote effective learning opportunities in a variety of settings. And our options for making those wonderful connections seem to be increasing at such a rapid rate that it’s hard to keep up with all that comes our way. But not impossible. Even though I don’t have a smartphone and therefore am not constantly Big-C Connected at all times, I’ve learned enough from colleagues to check in for conference updates via Twitter, LinkedIn, and other social media tools that can serve rather than enslave us if we use them effectively—at our moment of need. I also have learned to arrive onsite before activities are underway so I can see where the essential points of contact are: shuttle stops; information booths; meeting rooms; food courts; the onsite Internet cafés that mean we can leave our laptops behind; and those onsite lounge areas where tired colleagues tend to congregate and talk when they find themselves beyond the capacity to absorb even one more word from all the first-rate presenters we came to hear. all over the country. And once again, the magic was a product of the meeting: our conversations went far beyond the routines of our day-to-day work. We meandered through conversations about our more personal pursuits. Talking about the loss of colleagues, friends, and family members who have left us since the last time all of us gathered. 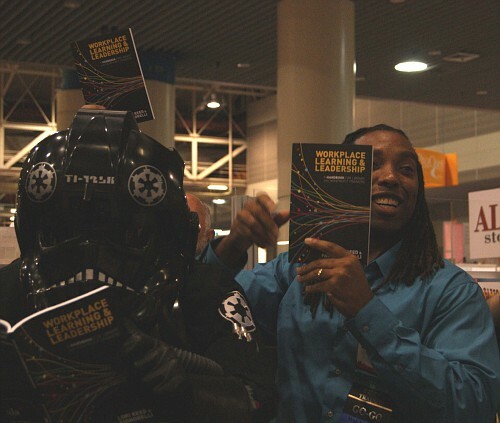 The changes and innovations occurring on a daily basis in workplace learning and performance. Our own creative pursuits. And as Johansson suggests, the rewards are immediate. Visceral. And moving. As I confirmed for myself this morning when I woke up at 5 am and had to move more words from mind to paper so I wouldn’t lose all that our gatherings inspired. 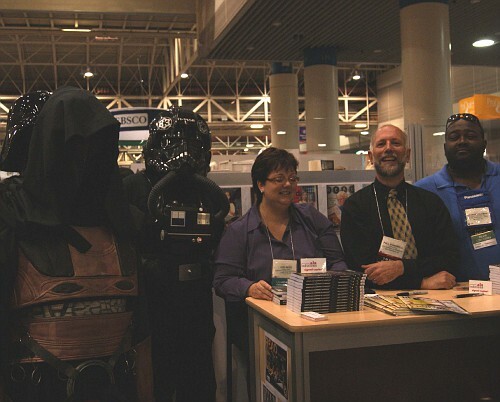 One of the great pleasures of attending the 2010 American Library Association (ALA) Conference in Washington, D.C. last week was seeing Emerging Leaders Program participants display and discuss the year-long projects they completed. Projects on view during a two-hour poster session held on Friday, June 25 in the Washington Convention Center showed a great amount of planning, creativity, and practical application. Among the topics were web-based leadership development; a free-links project “to identify and select free web-based tutorials and professional development information for librarians in other countries to access via the Internet,” with the links being posted on a wiki; a survey of ALA members to determine how interested they were in having the Association adapt Web 2.0 tools into its new content management system; and revising and updating an online staff development resource center so that individuals and organizations can “share policies, manuals, materials, and other information related to library staff development,” according to printed material distributed by members of the Emerging Leaders group that completed that project. Two projects which quickly caught my attention were sponsored by the ALA Learning Round Table (formerly CLENE), an ALA group which serves as an online and conference-level home away from home for me and many others involved in workplace learning and performance. The first, providing a recipe for planning successful staff day activities, drew from responses provided by nearly 600 ALA members and resulted in creation of a wiki which includes a variety of resources for those interested in developing their own staff day successes and a short video documenting their work. 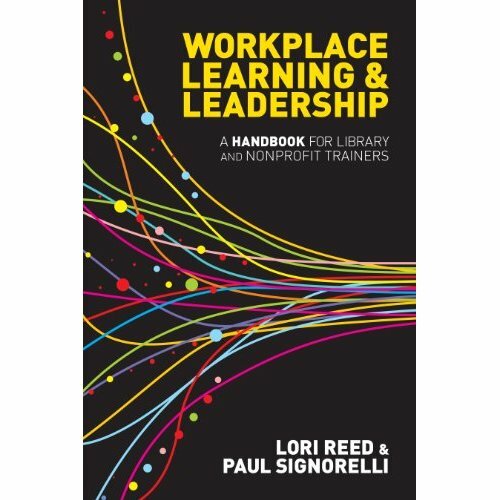 The second, creating and documenting the process of offering a sustainable webinar series for workplace learning and performance professionals in libraries, provides information for others interested in developing a similar series and is also described in two separate short online videos. There really wasn’t a bad project among the more than 20 that were on display, and it’s a credit to those who each year facilitate this dynamic project for library staff members who are either under 35 years old or who have fewer than five years of experience working at a professional or paraprofessional level within libraries. 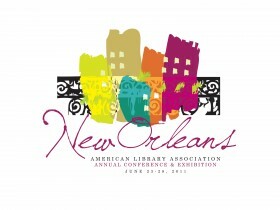 What was somewhat surprising to me was how few of the sponsoring ALA divisions and round tables actually had members onsite to work alongside the Emerging Leaders during their presentations. Discussions with program participants provided food for thought: although they were tremendously grateful for the opportunities they had under the Emerging Leaders program, many of them said they had not been approached about becoming members of the groups, were not sure whether they would continue their relationships with the groups which sponsored their projects, and wished they had been able to work alongside members of those sponsoring organizations during the two-hour session on June 25—a clear call to action for those of us who want to support the efforts of these and the other emerging leaders in our lives.